Provide your outdoor birds with a festive feeder for Christmas! Get four sturdy twigs that are about the same size and glue the corners of the twigs together. Get two red pipe cleaners and two green ones. Twist one end of each color of pipe cleaner together to create two extra long pipe cleaners. Twist both pipe cleaners together slightly off of the center, then thread Cheerios onto each part of the X. 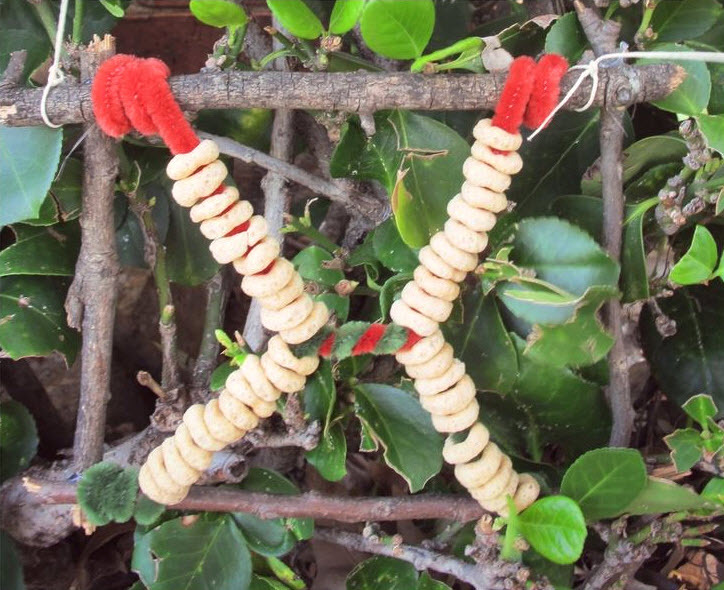 Twist the ends of the pipe cleaners around the twig frame, then hang the feeder from a tree branch with string.